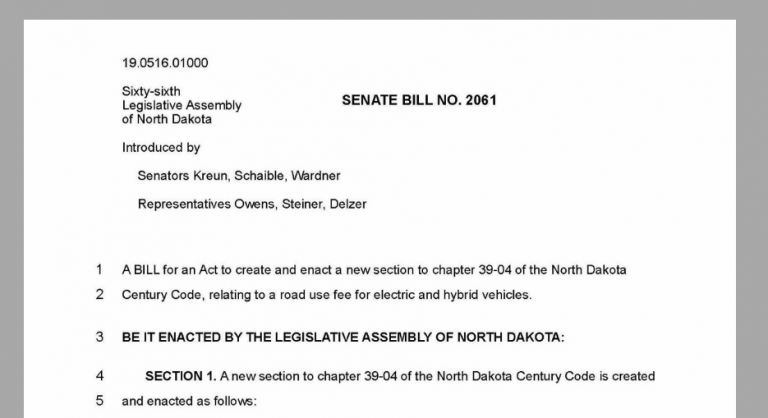 The North Dakota Legislature wants to deter people from purchasing electric vehicles (EVs) and hybrids. It’s a bad idea. 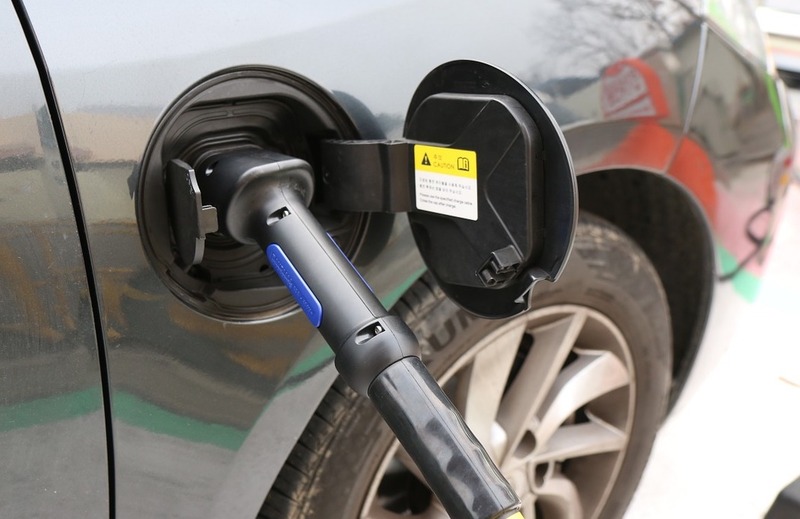 Six North Dakota legislators have introduced a bill that, if it becomes law, will rebuke North Dakotans who want to purchase more fuel-efficient vehicles. SB 2061 would impose an annual electric vehicle (EV) “road-use fee” of $248 per year and $71 for hybrids. Bill supporters say it’s about fairness. Gas taxes pay for construction and maintenance of roads and bridges, they say. Since EV owners do not buy gas, they should pay some other way. Otherwise, funding for transportation infrastructure takes a hit. The state gas tax is $0.23 cents/gallon. The average American vehicle consumes 500 gallons of fuel per year. Given that, the typical North Dakota vehicle owner pays $115 in state gas tax annually. However, bill backers also want to collect the federal share of 18.4 cents, which brings the yearly gas tax to $207. That’s $41 less than the EV tax being proposed. Since when does the state impose what amounts to a federal tax? And why the discrepancy? The suggestion of a significant loss to state coffers is also a stretch. Any funding reduction is miniscule, anyway; very few North Dakotans own EVs or hybrids. Rather than putting a dent in the need for infrastructure funding, these taxes would glance off without so much as a scratch. So let’s call these proposed fees what they really are – taxes discouraging people from purchasing EVs and hybrids and penalizing anyone who already owns one. They’re doing this at absolutely the worst time for erecting roadblocks to reducing carbon emissions. Reports by national and international scientists, including a group in our own federal government, say cutting carbon dioxide and other emissions that result from fossil fuel consumption is imperative for the health of the planet. The United Nations Intergovernmental Panel on Climate Change, for example, says we have only 12 years to stave off global catastrophe. We should call the proposed road-use fee what it really is, a deterrent, and the Legislature should ditch this backwards bill in favor of more realistic ways to take care of our transportation infrastructure. If you’re a North Dakotan and you agree, contact your state legislators and ask them to oppose SB 2061. To find their contact information, start here. If you liked this post, please follow IV Words!